FOUR militants were killed while three Army jawans and a police personnel were injured in an encounter in Pulwama district of Jammu and Kashmir on Monday, police said. 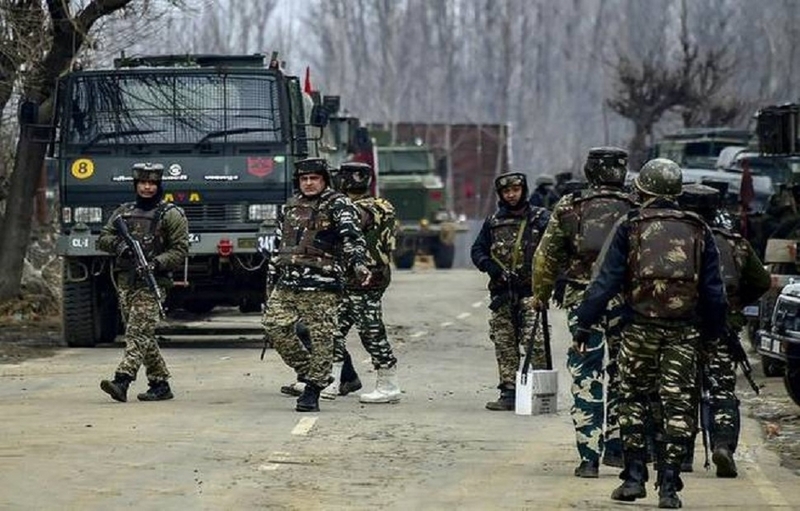 On a credible input about presence of militants in Lassipora area of south Kashmir’s Pulwama district, security forces launched a cordon and search operation there this morning, a police spokesman said. He said during the searches, militants fired upon the search party of the forces. The fire was retaliated, leading to an encounter, the spokesman said. In the ensuing encounter, he said, four militants were killed and their bodies were retrieved from the site of the encounter. The identities and affiliations of the slain militants are being ascertained, the spokesman said. He said in the initial exchange of firing, 3Army jawans and one policeman sustained injuries. The injured were hospitalised and are stated to be stable, he added. The spokesman said it was a clean operation and no collateral damage took place in encounter.